With your phone in your pocket, simply open the door and you’re in your home. Heading out? August Smart Lock Pro will also automatically lock the door behind you after you leave. Lock and unlock your door, control keyless access, and keep track of who comes and goes, all from your phone. The 24/7 activity log means you’re always in the know. 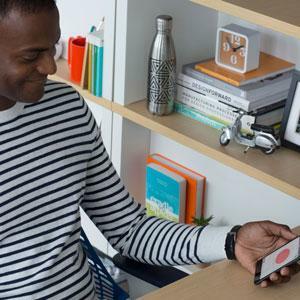 August Smart Lock Pro + Connect is the only smart lock solution that works with all three major voice platforms. 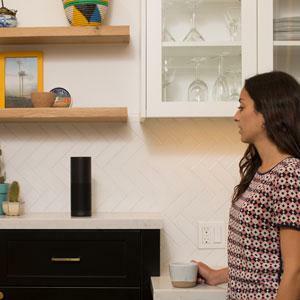 Simply use your voice to tell Alexa, Siri or the Google Home to control your lock. August Smart Lock Pro installs inside your door in about 10 minutes with just a screwdriver. 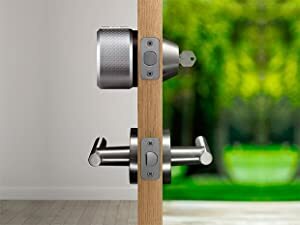 August Smart Lock Pro is compatible with most single-cylinder deadbolts, and allows you to keep existing hardware and keys. Available for Android, iOS and Apple Watch devices.